BOM 4/14/19! 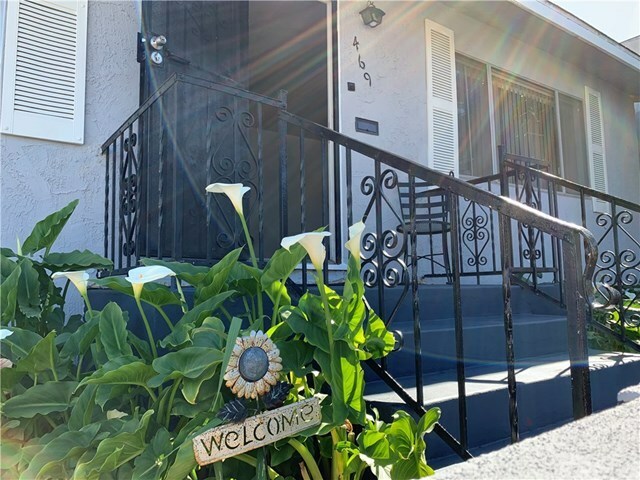 Great Duplex in San Pedro! Two detached homes on a lot - perfect for an investor or owner occupant. The front unit is a 3 bedroom, 1 3/4 bathroom with a laundry area inside as well as a basement for added storage. Seller just added some fresh paint interior & exterior as well as new laminate flooring. There has also been some recent cosmetic upgrades to both the kitchen & bath. The back unit is a charming 1 bedroom 1 bathroom also with it's own laundry inside. There is a good size concrete yard area in between both homes as well as a lovely garden & lemon tree behind the back unit (accessible to both) The 2 car garage is located in the rear with alley access & doors that lead to the property. This duplex is located close to the up-and-coming LA Waterfront which has expansive redevelopment plans. Also located only blocks away from "Old San Pedro" where you will find Tivoli light strung streets featuring a collage of architecture, shopping, dining, art, entertainment and browsing. Every First Thursday there is a unique event with free music, dancing, and performances right on the street and street corners.